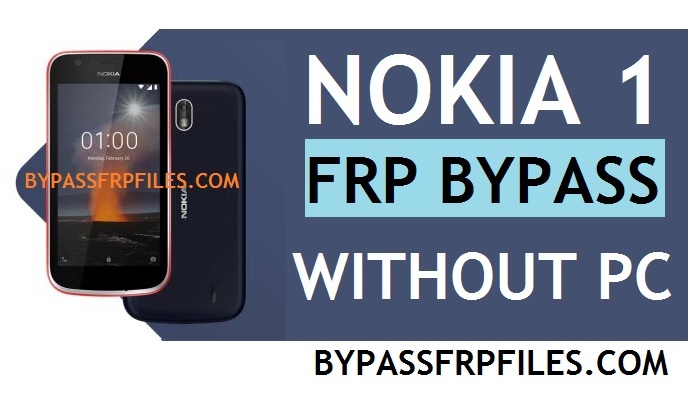 Now we share with you the hottest method to Bypass FRP Google Account Nokia 1 -Without PC, We working too hard to find a best solution to Nokia 1 FRP Bypass easily, finally we found a method to Bypass all Nokia 1 models FRP very easily, with this process you can easily Bypass Nokia TA-1047 FRP also with Nokia TA-1066 FRP and Nokia TA-1056 FRP, only you need a wifi connection and download some frp applications to Bypass FRP Google Account Nokia 1-Without PC. Warning: This method we tried on Nokia 1 TA-1047 FRP, you can try this for other Nokia 1 TA-1066 FRP and Nokia 1 TA-1056 FRP, do not try this method on other Nokia devices. -First of all, tap on the “Let’s Go” button from the very first welcome screen on your device. -Then connect your device to a wifi connection. -Once connected, go back to very first welcome screen once again. -After that, tap on the “language Selection” drop down menu. -After that, click on the “Let’s Go” button. -Then tap on the “set up new device’. -Wait for all processing complete, then you will see “Google Account Verification page”. -Type anything there, then once “Google Keyboard” is open then long tap on the “World Icon” button to bring “language change” menu. -Then a popup will show, just tap on the “Very Last” option from there, (See below Image). -Once done then tap on the “3 dots” from the top right corner, and selct the “2nd options” from there. -Once you follow all the steps from the below steps succesfully then tap on the “Search Bar”. -Then type “Delete” there and then tap on go “Icon”. -After that, go down then tap on the “delete or disable apps on Android”. -Then once again go down and tap “Tap top to go to Application Settings”. -Download some applications files to successfully Bypass FRP Google Account Nokia 1 all Nokia TA-1047 FRP/ Nokia 1 TA-1066 FRP and Nokia 1 TA-1056 FRP. -Now on the top search bar type there “Bypass frp Gadgetsdr” then hit the search button. -Once you get the search results, then tap on the first website from there, website URL should start with “gadgetsdr.com”. -Now you will successfully access the “Bypass frp” page, now download from there this two applications. -But at first, we need to download only one application that helps you to all Nokia TA-1047 FRP/ Nokia 1 TA-1066 FRP and Nokia 1 TA-1056 FRP easily. -Once you downloaded the apk, then you will get a popup button on the button bar of your device, simply tap on the “open” button from there. -Then you will get another pop box, just tap on the settings from there and enable the “Allow this Source” from there. -Then once again download “Google Account Manager 6” from there. -Once downloaded tap on the “Open” button once again, and now install the “Google Account Manager (6)” apk by tapping Install-next-done. -Now go back to the “Bypass FRP” page and then download from there “FRP Bypass (GD).apk”. -Once done, install the “FRP Bypass (GD).apk” and then tap on the “Open” button to successfully Nokia 1 FRP Bypass. -Then tap on the “Browser Sign-in” option from there. -Then sign in there with your any valid Gmail id to Nokia 1 FRP Bypass. -Once you Sign in with your Gmail id then this applications will automatically be closed. -Now you have successfully all Nokia TA-1047 FRP/ Nokia 1 TA-1066 FRP and Nokia 1 TA-1056 FRP easily. Thanks for visiting us, if you facing any problem with this Bypass FRP Google Account Nokia 1-Without PC | Nokia 1 FRP Bypass Without PC, comment us below. When I get to the (tap to go to Application Settings) the chrome browser does not open automatically.